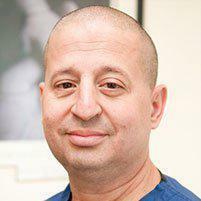 Dr. Glenn Rosenberg uses MUA or Manipulation Under Anesthesia to help patients achieve the healing they desire. At South Shore Spinal Care, the staff offers treatment options to patients throughout the New York City, New York area, including those who live in Oceanside. The practice’s third location in Clifton, New Jersey, allows nearby residents to take advantage of these services as well. Anesthesia is used, not because the procedure is invasive, but because it fully relaxes the patient and allows the chiropractor to fully address the issues that are causing them pain. Long-term buildup of fibrous scar tissue can be somewhat painful to manipulate. The use of anesthesia allows the chiropractor the benefit of being able to perform the procedure while the patient is kept comfortable and sedated. Individuals who have been in treatment for more than six to eight weeks and have not received satisfactory relief can opt for the use of manipulation under anesthesia. This takes their previous treatments one step further. MUA stands for manipulation under anesthesia. MUA allows the chiropractor to use anesthesia in order to perform more in-depth procedures. Anesthesia fully relaxes the patient, allowing the chiropractor to make adjustments to areas of the body as needed. The procedures used by the chiropractor are non-invasive. No surgical procedure is needed. The doctor is able to manipulate the tissues at a much deeper level, breaking up fibrous scar tissue and correcting any other structural abnormalities that may be present. With the patient fully relaxed, there is no resistance and the chiropractor is able to complete the procedure in a minimal amount of time. What are the Benefits of MUA? MUA offers benefits for both the patient and the chiropractor. The benefits for the patient includes a more complete treatment. While their body is fully relaxed, the chiropractor is able to perform every aspect of the treatment that is necessary to elicit the healing response. For the chiropractor, the benefits include being able to perform the manipulation without any physical resistance. The doctor can break up the scar tissue and restore flexibility without fear of causing pain to the patient. This is procedure allows the chiropractor go further into the treatment than if the patient was fully awake. Both patient and chiropractor receive benefits that can enhance the healing aspect of the treatment.